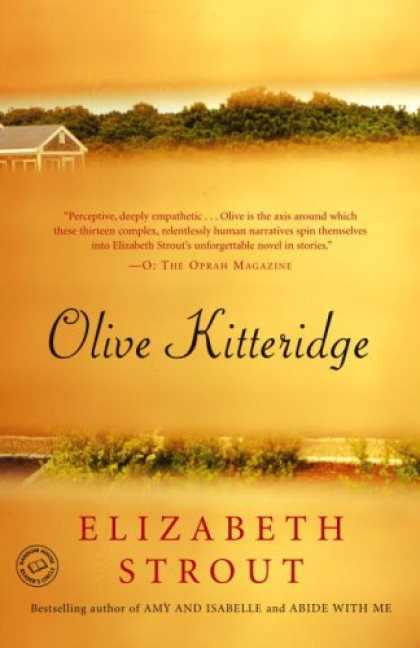 Review: 'Olive Kitteridge' is a series of short stories about people living in a small town in Maine. Olive Kitteridge is a retired school teacher and is the focus of a few stories, while making appearances in the others. She is many things to different people-beloved teacher, obnoxious mother-in-law, annoying wife, caring and supportive neighbor. Strout nails human emotion in this beautifully written novel yet depressing novel. I am generally not a fan of short stories but this is so well written and the stories so engaging that I had a hard time putting it down. It was simply excellent. I felt a kindred spirit to the town in general as well as Olive. It may be because I'm from a small town in the northeast (originally from Maine but grew up in upstate NY) that Strout really captured the spirit of the people. Olive also reminded me a lot of a person close to me. For the most part she has good intentions, but very little self awareness.